JOIN COCHIN FILM SOCIETY FOR A BETTER FILM CULTURE. JOIN COCHIN FILM SOCIETY FOR A BETTER FILM CULTURE..
2011 / 76 min - Animation . A château, flowering gardens, a threatening forest, here is what, for mysterious reasons, a Painter has left incomplete. Three kinds of characters live in this painting: the Toupins, who are entirely painted, the Pafinis, who lack a few colors, and the Reufs, who are only sketches. Considering themselves superior, the Toupins take over power, chase the Pafinis from the château, and enslave the Reufs. Convinced that only the Painter can restore harmony by finishing the painting, Ramo, Lola, and Plume decided to go looking for him. Throughout the adventure, questions will follow one after the other: What has become of the Painter? Why did he abandon them? Why did he begin destroying some of his paintings? Will they one day know the Painter's secret? The film was co-produced by France's Blue Spirit and Belgium's Be-Films. It took two years to finance and had a budget of four million euro. 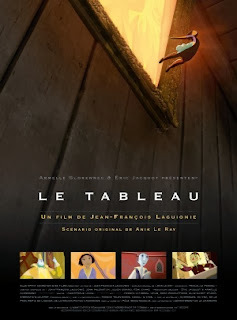 Jean-François Laguionie designed every character himself. The designs include homages to painters such as Marc Chagall, Amedeo Modigliani, Pablo Picasso and Henri Matisse. Pre-production took 15 months and production one year. Mousse (Isabelle Carre) and Louis (Melvil Poupaud) are young, beautiful, rich and in love, but drugs have invaded their lives. After Louis fatal overdose, Mousse soon learns she is pregnant (actress Isabelle Carr was pregnant while shooting.) Feeling lost, Mousse escapes to a beautiful beach house far from Paris and is soon joined in her refuge by Louis gay brother, Paul (French singer Louis-Ronan Choisy in his first screen appearance). The two strangers gradually develop an unusual and deeply moving relationship as Ozon continues his unique exploration of the nature of family and blood ties. Ozon's innate narration sense keeps the film simple and direct. 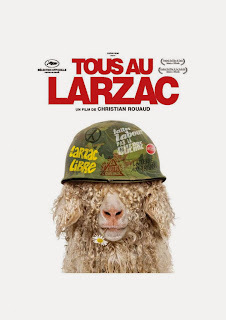 2009 / French, Kurdish and English, with English subtitles./ Running time: 1 hour 50 minutes. The film tells the story of Simon Calmat (Vincent Lindon), a French swimming coach who is divorcing his wife Marion (Audrey Dana). Simon tries to help a young Iraqi-Kurdish illegal Immigrant, Bilal Kayani (Firat Ayverdi), whose dream is to cross the English Channel from Calais in France to the United Kingdom by any means possible to be reunited with his girlfriend Mina (Derya Ayverdi). Meanwhile, Mina's father strongly opposes Bilal's plans as he wants to marry his daughter to her cousin who owns a restaurant. After being caught with other illegal Immigrants and returned to France, Simon gives him temporary refuge at his home after the young Bilal, nicknamed "Bazda" (runner, for his athletic abilities and love of football and Manchester United in particular) registers for swimming lessons, intending to train to be able to swim across the Channel. After police search Simon's apartment, Bilal goes on a final attempt and drowns 800 meters from the English coast while hiding from the coastguard. Simon then travels to inform Mina. The film became hugely popular with audiences in France alone reaching 780,000 in just 3 weeks on screen. Screening Malayalam film " Adimadyantham" on 22 august 2015 , 6 pm at children's park theater, errnakulam . all are welcome.